Margot Sterling silver ring with Tahitian pearl. For those who appreciate simplicity and the blend of beautiful materials, the Margot ring presents a gorgeous silver body with two small zirconium crystals framing a Tahitian pearl. 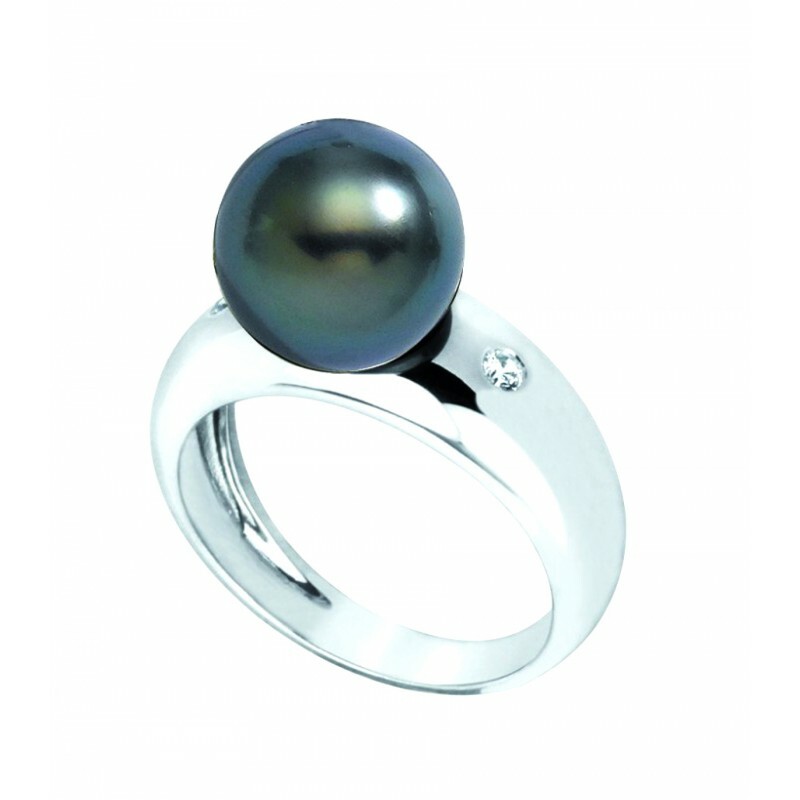 The Tahitian pearl is 9-9.5mm in diameter and of AA+ quality. The ring is guaranteed one year, and is made on demand to your finger size. It exists in white gold upon request. By buying this product you can collect up to 24 loyalty points. Your cart will total 24 points that can be converted into a voucher of 7 €.